A purpose-built gym designed for children with special needs, with customised equipment including slides, swings and ziplines has opened in the Melbourne suburb of Preston. Equipment in the Australian-first gym, We Rock The Spectrum, a franchise of the USA brand, has been designed by occupational therapists with the aim of aiding the sensory development of children with processing disorders, while providing additional motor skill development. 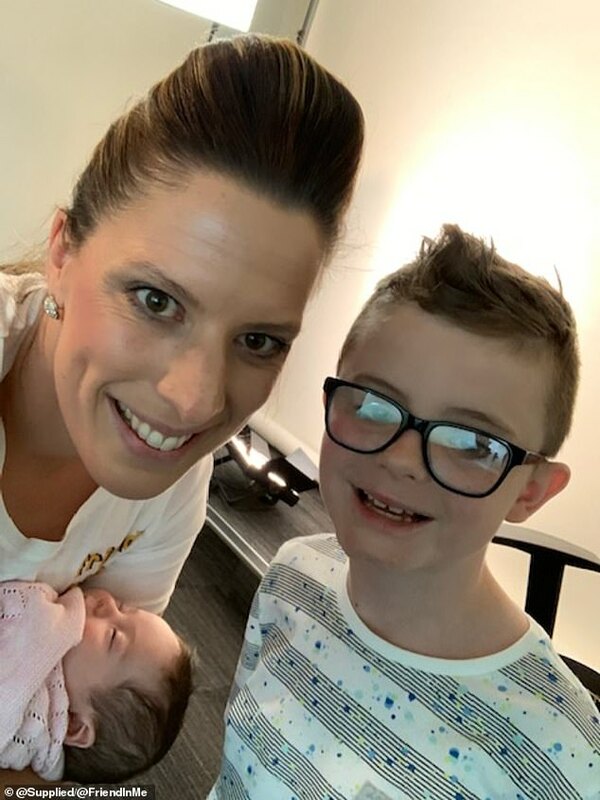 Local mother, Sally Johnson and master franchisor behind the Preston opening and was inspired to bring the concept to Australia after seeing the benefits first-hand. She explained “within my own special needs community, I see the desire families have to connect with one another. Johnson’s son Digby was diagnosed with Autism and ADHD at age two, and the pair struggled to find play centres where he felt included. 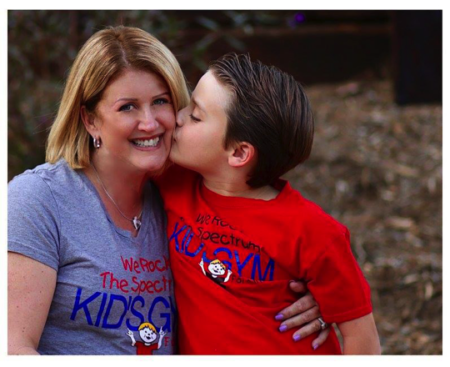 After learning about the We Rock The Spectrum model, Johnson traveled to the USA to see the gyms for herself, meeting with founder Dina Kimmel, who shares a familiar story. Kimmel developed the specialised concept in 2010 after her two year old son, Gabriel was diagnosed with Autism, allowing families with special needs children to engage in sensory-beneficial activities. Now in its fourth year of franchising, We Rock The Spectrum has over 70 locations across the globe, with the Preston opening marking the third international franchise and first for Australia. While franchising some sectors of the fitness industry is seen as reaching saturation, the We Rock The Spectrum model caters to a traditionally under-represented market. According to a recent study from AMAZE, Victoria’s peak body for Autism Spectrum Disorder, only 4% of autistic Australians feel their community knows how to properly support them. 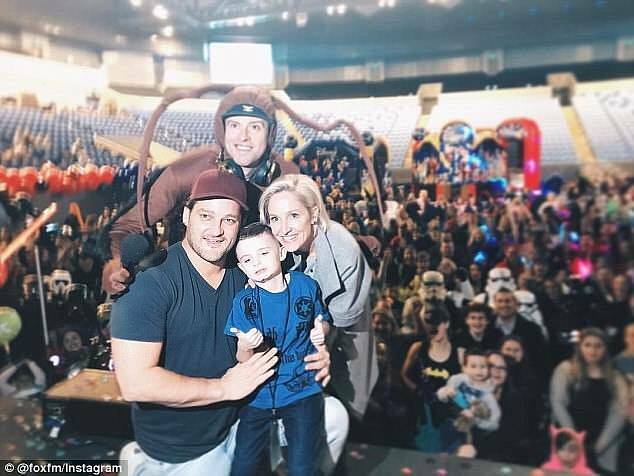 Louise Larkin was driving to work in Melbourne when she heard a little boy’s mother on the radio talking about how no one had showed up to his sixth birthday party. The 34-year-old was so heartbroken by Logan Camilleri’s story that she decided to throw a celebration for all lonely and isolated children in her community to encourage social inclusion. Three years later and Mrs Larkin is preparing to host the third ‘Friend In Me’ party at Seaworks Maritime Precinct, Williamstown, with interpreters and ‘sensory rooms’ available for deaf and autistic children. Her message is simple – no child should be left behind. ‘I only had my daughter Giselle then [she now has three-month-old Florence too] and I just kept thinking “Imagine if that was my child feeling left out? How would she feel?”,’ she told FEMAIL. ‘It was really sad for his mother as well. So I reached out to my contacts in mother’s groups on Facebook and put together a party for kids in our area. There were 350 people there. Australia’s first open to the public, indoor play gym for children with sensory disorders has officially opened its doors in Preston, Melbourne. For brother-sister business partners and Australian Master Franchisees Sally and Mark Johnson, the opening spelled the beginning of a dream come true. Drawing inspiration from its installations around the world, We Rock the Spectrum Kids Gyms are a network of sensory safe indoor play spaces, founded by American parent Dina Kimmel. But now, the gym is on home soil. Featuring 10 pieces of occupational therapist designed equipment to aid in the physical development of participants, the environment is safe and able to keep children with sensory disorders such as autism, sensory processing disorder and ADHD feel regulated and engaged. Taking your kids to the park or a play centre poses challenges for many families that others are unaware of. One of my own children struggled with loud noises until he was four. A loud speaker, party whistle, even a busker would make him anxious so we modified where we went and what we did in those first years. Anxiety is something parents of kids who struggle with social skills often experience taking their kids to a playground. I once had a single dad as a patient tell me that he had stopped taking his son with autism to the local playground because any time he went another parent would pick a fight with him about his son’s challenging behaviour. I wish We Rock the Spectrum had been around then because I’m sure it would have become his safe haven. We Rock the Spectrum is an all abilities children gym that opened this weekend in Melbourne (Preston). The gym is a safe and fun place space for ALL children. As we enter We Rock the Spectrum the first thing I notice is a sign that says “Finally a place where you don’t have to say I’m sorry”. A really simple statement I know, but one that will bring a sigh of relief to parents of special needs kids. The gym is suitable for children from babies to kids aged 12. The brilliance of We Rock the Spectrum hinges on a a few key features – overt inclusion of children and families who have kids with special needs, a high children to helper ration – there are many appropriately trained adult staff on hand to assist children use the gym equipment (designed with occupational therapy input) and support parents if challenging behaviours occur. The presence of a quiet room is a bonus. Children prone to sensory overstimulation can retreat to a quiet space with low lighting when needed. Digby, now 7, is on the autism spectrum and finds it hard to deal with the sensory overload he experiences in many public spaces. “I started to retreat from the community, which was lonely for us but also for him,” Ms Johnson said. “It was a very difficult time for me because I’m very social. I thought [parenting] would be much different than it turned out to be, especially in the early days. Ms Johnson used to dream of a place where her eldest child was understood and where he felt comfortable enough to socialise and play with his younger sister Clementine. But with no indoor play centres catering to children with autism in Melbourne she had to take things into her own hands. Together with her brother Marcus, Ms Johnson has just opened Australia’s first indoor play centre designed specifically for children on the autism spectrum. With a zip line for the kids, plenty of play things and swing sets, step inside Australia’s first sensory gym for autistic children. All of the equipment has been specially designed by occupational therapists. There’s a Calming Room and facilities for psychologists and speech pathologists. It’s the work of Sally Johnson, whose son, Digby, is autistic. Australia’s first children’s gym built for children with sensory disorders will open in Melbourne’s north this weekend. Get a first look inside. Rock Boy—he’s the mascot of We Rock the Spectrum Kid’s Gym who’s come to symbolize fun and full-inclusion to families all over the world. He adorns every We Rock the Spectrum signage from the storefronts to the walls of our gyms. For kids, his bright red t-shirt, welcoming smile, and rockin’ hands means “It’s playtime!” Rock Boy is every child. But the idea for Rock Boy goes back to one child in particular, back when We Rock the Spectrum was just one gym in Southern California that one loving, warrior mother built for her son. The concept of Rock Boy, like much of We Rock the Spectrum, comes from a love of family. Rock Boy is modeled after Gabriel Kimmel, the son of our CEO & Founder Dina Kimmel. He is also the inspiration behind We Rock the Spectrum, which grew from a home gym designed just for him. People often wonder why the name of our gym is “We Rock the Spectrum Kid’s Gym,” with a singular Kid instead of plural. That’s because We Rock the Spectrum was never meant to be the worldwide phenomenon that it’s become today. Back when We Rock the Spectrum first opened in September of 2010, it was solely meant for Gabriel to have a safe space to play and be himself without Dina having to apologize. 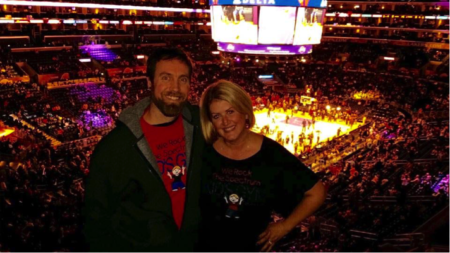 But interest in the gym grew substantially and Dina realized that there were families out there just like her’s that needed this void filled. Because the need for an inclusive space was so apparent, Dina knew she had to open up more gyms and thus, a franchise was born. 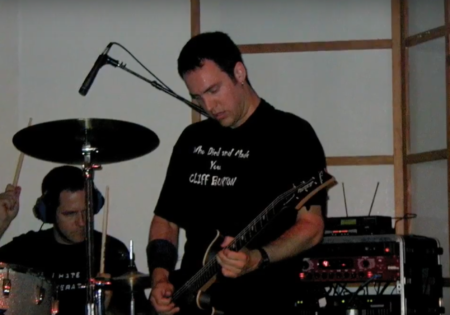 Tim Kimmel in his rocker days. Growing up, the Kimmel children, Gabriel and Sophia had music all around them in the house. Both of them love to sing, dance, and play instruments. For Gabriel who’s on the Spectrum, playing piano helps him tune his fine motor skills and singing and rhythm helps with his stutter. “When Gabriel engages in music — whether it’s dancing, singing, playing the piano or the clarinet, whatever it may be — his spirit and effervescence shines through so beautifully,” says Dina. As music constantly filled their lives as children, the image of Rock Boy itself is based on a photo of Gabriel doing the iconic Rock Hands symbol. That photo would later encapsulate everything that We Rock the Spectrum would come to stand for — a child, on the spectrum or otherwise, just having fun. When Rock Boy was imagined, it was based on Gabriel rockin’ out and being a kid. Today, in capturing that spirit of unabashed freedom and playfulness, the Rock Boy logo has ignited a global movement of inclusiveness that has empowered kids all over the world to let loose and find their inner rock star. 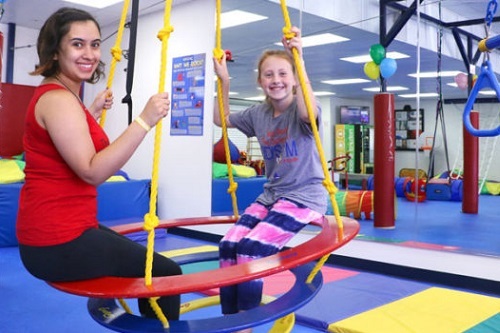 A franchise of We Rock The Spectrum gyms in the US, the centre is built for children with special needs, with specialised equipment including ziplines, swings and slides. All equipment is designed by occupational therapists to aid the sensory development of children with processing disorders, and aids motor skill development and sensory processing. The play centre also has areas for medical practitioners and allied health professionals to work out of, and aims to be a “hub” for families with children with disabilities. 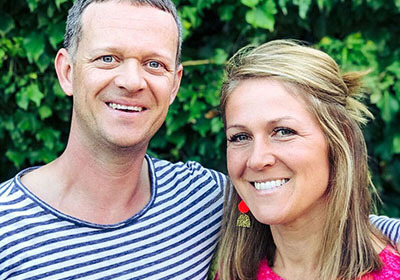 Thornbury mum Sally Johnson will open the gym, which is now under construction, with brother and business partner Marcus, and says the gym will welcome kids of all abilities. Ms Johnson’s seven-year-old son Digby was diagnosed with autism at age two, and Sally says since then she had struggled to find a place they felt truly included. “I always wished there was somewhere I didn’t have to be explaining away his behaviour,” she said. At We Rock the Spectrum, we serve families from all walks of life. Some are very familiar with the autism community and the language to discuss it, while others are new to it all, and learning. Either way, everyone has to start somewhere, and sharing helpful information about autism spectrum disorder is one of the best ways to spread understanding and awareness. We are the sensory gym for autism and aim to have autism-friendly kids gyms all around the world. That’s why we’ve put together our own list of important terms that help to understand autism and many of the medical and therapeutic terms associated with it. This is the repeating of sounds, words, or phrases. People who “echo” may not always be able to communicate effectively or express their own thoughts, but they parrot back what they have heard. If asked a question, they might repeat the question, and not answer the question. The repetition of words, phrases, intonation, or sounds of the speech of others, sometimes taken from movies, but also sometimes taken from other sources such as favorite books or something someone else has said. Echolalia is sometimes referred to as scripting. Repeating or persisting with an action or behavior after the stimulus that prompted it has ceased. To perseverate is to become stuck on something and to not be able to mentally shift gears. Applying the principles used for learning and motivation toward social situations or problems of social significance. Therapists use ABA Therapy to teach communication, play, social, academic, and self-care skills to those with autism. A plan that ensures a student with any disability, physical or mental, will receive accommodations that will help him or her to achieve academic success. A plan developed to ensure that a child who has a disability will receive specialized instruction and related services so he or she may be educated effectively. A change from one environment or activity to another. Transitions can be hard for a person with autism. It sometimes helps if warnings are given before a transition. Often mistaken as temper tantrums, meltdowns are common with people who have autism and are typically not anger-infused. Instead, it is the body’s way of reacting to a confusing or over-stimulating situation. Meltdowns can be loud or they can be very quiet. Repetitive behavior, such as the spinning of objects, vocal echoes, or other repetitive actions, that people with autism commonly partake in to alleviate the stressors of overstimulation. A visual schedule tells a person what to expect next and in what order. People with autism often benefit by knowing what is next as it may be harder for them to transition from one activity to another. To leave without permission or without letting others know where you are going, and without processing the dangers/risks involved in leaving. Elopement is a great concern in the autism community. To have detailed knowledge in a specialized field. A small percentage of people with autism are savants. Savants may have many different skills not specific to one field. A skill that is stronger than other skills a person has. A person with autism might be able to do one or more things really well but have far less ability in other areas. A neurological condition that exists when sensory signals are not adequately processed in order to appropriately respond to the demands of the environment. For example, many people with sensory processing disorder are highly sensitive to fabrics and certain food textures. Our vestibular system (or sensory system) gives us a awareness of balance and spatial orientation so we can coordinate our movements. People with autism have a harder time managing their movements, such as their walk and gait. The simultaneous presence of two chronic diseases or conditions in a patient. Many things are often comorbid with autism, including epilepsy and obsessive-compulsive disorder (OCD). A social-communicative skill that’s developed early and includes pointing, sharing interests and following the eye gaze of others. Most children like to say, “Watch me” to others as they play. They point things out in their environment so they are sure others are seeing what they see. Children with autism often participate in little or no joint attention. The rhythm and melody of spoken language. Prosody is shown in the rate, pitch, stress, inflection, and intonation used in our speech. People with autism have a harder time with intonation, and can often be more monotone or speak in a singing voice. A structured way of teaching in simple steps. A task is broken down and taught in steps and then built back up to the entire task. Discrete trial is used in ABA therapy. A type of psychotherapy in which negative patterns of thought about the self and the world are challenged in order to alter unwanted behavior patterns or treat mood disorders such as depression. People with autism struggle with anxiety and depression alike. Cognitive behavioral therapy has been shown to help reduce these feelings and behaviors associated with them by working to adjust thoughts and perceptions. With this new knowledge, you’ll be better prepared to help the people in your life who have autism, or a relative with autism. As you may well know from helping a child with autism navigate the world, knowing the words for something you’re experiencing can make a huge difference. 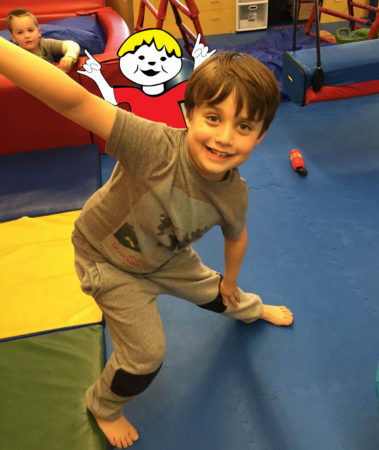 At We Rock the Spectrum, our gym owners create a playground space that speaks the language of autism – but we also speak the language of fun! Want to be a resource for people with autism and families with autistic children in your community? Contact us about opening your own We Rock the Spectrum franchise.